Alaba Report: south east promotional tour event 2017 is coming up soon....live @mayor exclusive Garden Hotel opposite cps enugu state. 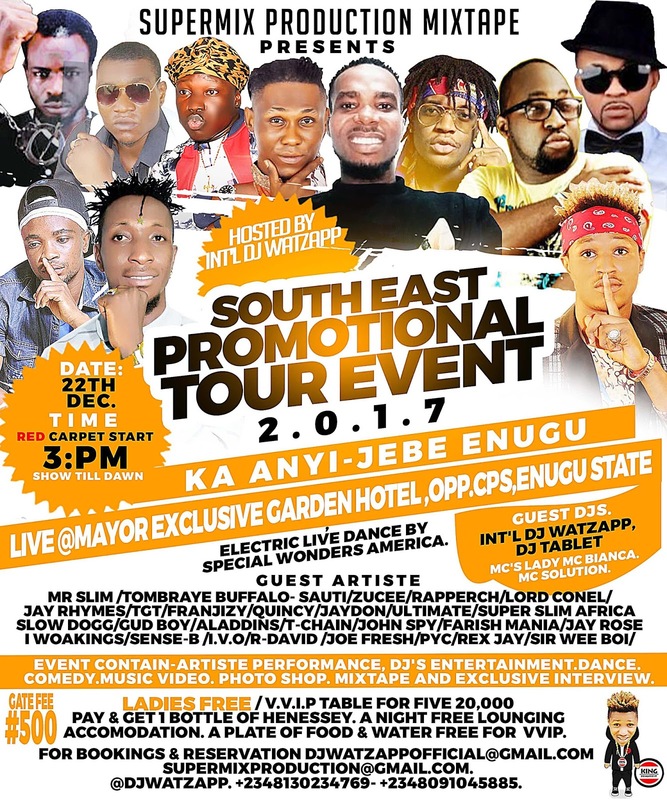 event hosted by the only one INT'L DJ WATZAPP.. for bookings sponsorship & reservation call 08130234769..
south east promotional tour event 2017 is coming up soon....live @mayor exclusive Garden Hotel opposite cps enugu state. event hosted by the only one INT'L DJ WATZAPP.. for bookings sponsorship & reservation call 08130234769..